Sport&Health has locally owned and operated health clubs that are built around integrating fun and fitness into the busy lifestyles of our members here in our nation's capital and its ever-expanding communities. With our many local gyms in DC, Maryland and Virginia, no other health club in the area has more ways to get in shape than we do. Enjoy sports like basketball, tennis and even swimming. Our gyms also have the latest in cardio and strength equipment, energizing group fitness classes, individual and small-group personal training programs, and mind/body programs like yoga and Pilates. Take advantage of our multi-club gym memberships and get fit where you work, live, and play. Search gyms near me to find our nearest location. Above you can navigate through our Maryland health club locations. By clicking on one of our local gyms you can view what amenities, fitness classes, and equipment are offered at each specific Maryland health club location. When you are on the run, you can search for, "gyms near me" on your mobile device to find a Sport & Health gym near you as well. The Sport&Health clubs in Maryland offer many different amenities. Scroll below to learn more about the many ways we help our members stay fit and healthy. Personal Training: Work out smarter, not harder. Real results require variety in pace, style and effort in and out of the gym. Our team of nationally-certified personal trainers will tailor a safe, fun, effective fitness plan to your individual fitness needs. 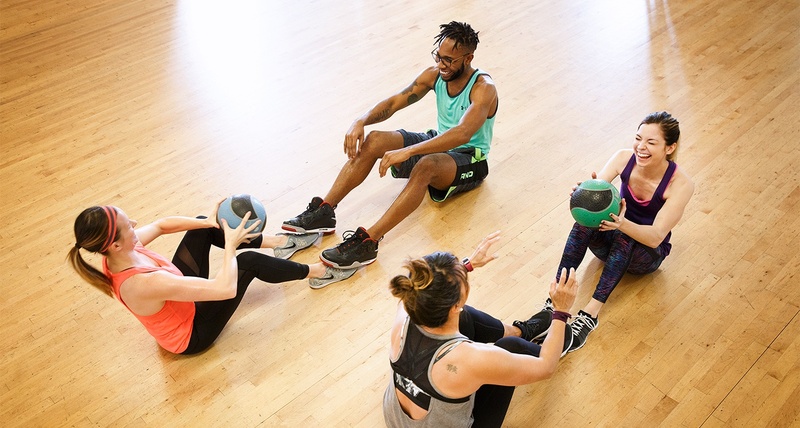 Small Group Training: Zone 4 (Z4) is the ultimate heart rate gym workout combining intervals of cardio and functional training movements in a fun and motivating group setting. Explosive Performance Training whether you’re an athlete, former athlete, or just want to train like one, we’ll help you up your game! Train in our gym for speed, agility and quickness. Fitness Classes: From Zumba, indoor cycling, Barre and more, we have your favorite fitness classes to keep you motivated. Swimming Pool: Dive into an exciting new lifestyle of refreshing fun and fitness at your local Sport & Health gym! We offer swimming lessons, aqua aerobics, swim teams, family swim, U.S. Masters Swimming and much more. Tennis Courts: We have three different tennis court options, clay, indoor and outdoor tennis courts. Search tennis courts near you to find the closest gym with tennis. Mind & Body: Transform the way your body looks, feels and performs with Pilates and Yoga programs! Build a long, lean, muscularly-toned body using proven body-weight and flexibility exercises in our health clubs. Kids Club: We are proud of our facility, and our Kid's Club playroom. It is our mission to provide quality child care in a safe, sanitary, and welcoming environment while you enjoy the full benefits of our workout facility. Just search on your mobile device for “gyms near me” to find a Sport & Health gym with a kid’s club near you. At our Sport&Health clubs we pride ourselves on providing the Ultimate Fitness Experience to every gym member every time. With that goal in mind, we've built the nicest health clubs in the industry to offer the best in health and fitness to everybody. Whether you are brand new to fitness or are training for your next triathlon, Sport & Health gyms offer the facilities you need to achieve the goals you want!